At MIPIM 2015 in Cannes, the Boulevard du Littoral in the Euromediterranee district won the MIPIM Award for Best Urban Regeneration Project. After the transformation of the Hôtel Dieu in five-star luxury hotel from Intercontinental Hotels Group, distinguished last year as “Best Refurbished Building“, Marseille just conquered another prestigious award at MIPIM in Cannes. 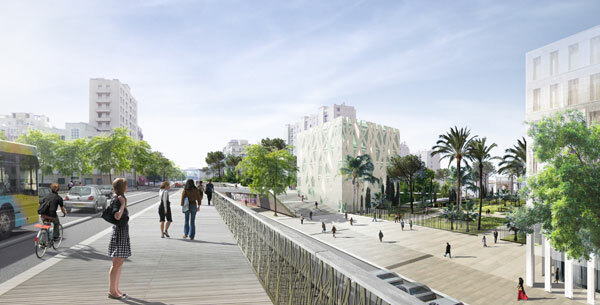 The renovation of the waterfront boulevard between the Quais d’Agence and the J4 Esplanade in the Euromediterranee district was rewarded on March 11 by the MIPIM Award for “Best Urban Renovation Project“. 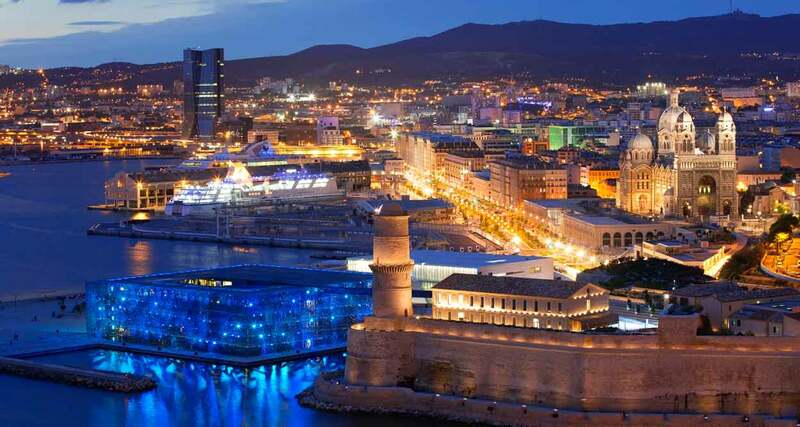 The ongoing urban renovation project of the Euromediterranee area, that just turned 20, concerns the great project of upgrading the district of La Joliette in Marseille into a business district. The Euromediterranee boulevard were in competition with serious and prestigious challengers: the renovation of the historic center of Ghent in Belgium, the London’s Queen Elizabeth Olympic Park and the Toranomon Hills 247m-high tower in Tokyo. Launched in 1995, the Euromediterranee project initially involved an area of 310 hectares. Since 2007, “Euroméditerranée Act 2” extended the scope to 170 hectares, covering a total area of 480 hectares. 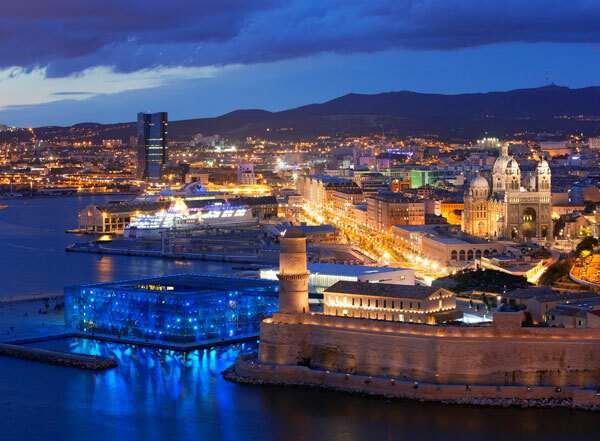 The project is funded by the City and the Urban Community of Marseille, the General Council, the Regional Council, the State and the European Union. 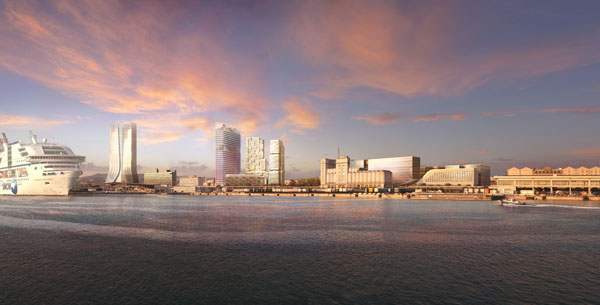 Euromediterranee has already seen the renovation of the Docks into offices, the renovation of Le Silo (former 16,000 m2 granary) into theater, the renovation of the Rue de la République and the construction of the 33-floor CMA-CGM tower, headquarters of the 3rd world group of container shipping. The operation’s budget amounts to € 7 billion investment with 5 billion private investment. Designed by Ateliers Lion – Ilx and Kern et Associés, the program developed by the EPA Euroméditerranée redraws Marseille’s waterfront, called Boulevard du Littoral, which spans from the CMA-CGM tower to the Old Port. One of its designers, architect Yves Lion said: “I imagined the Euromediterranee Boulevard in a spirit of reconquest of the shore.” A promenade with two wide sidewalks plated with trees (14 m wide for 2,000 trees), lined with bikes paths and 143 street lights, 45 pedestrian crossings and 12 bus stops for an investment of 35 million euros. Since the years 40-50, the city of Marseille had no contact with its port because the highway was a very strong barrier. 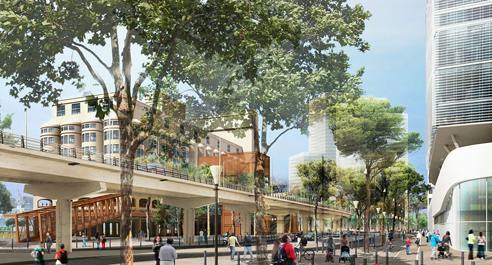 With the commissioning of a tunnel, the architects were able to refurbish a 3 km boulevard symbolizing the new face of Marseille. The redevelopment of the coastline was a major urban issue because it enabled to revitalize the city center and the port by recreating connections between the two areas.